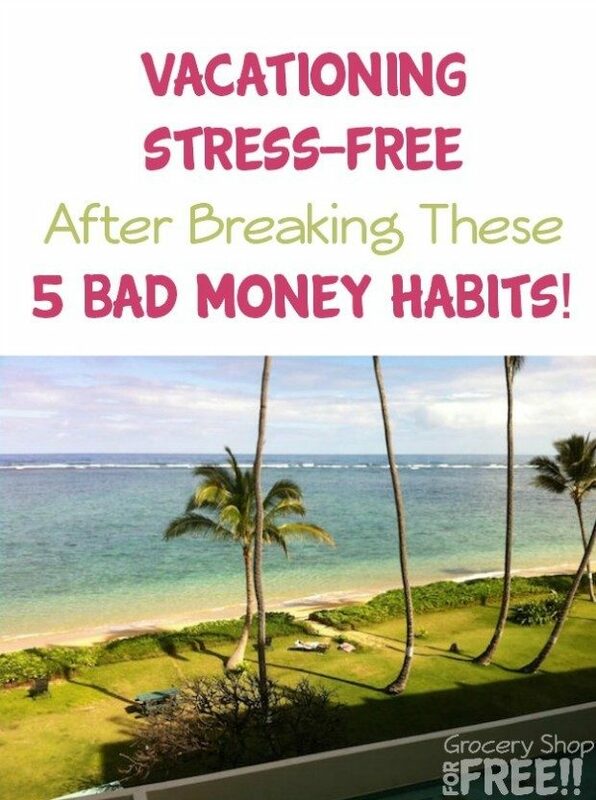 You are here: Home / Finance / Saving Money / Vacationing Stress-free After Breaking These 5 Bad Money Habits! We all have spending habits that make it challenging to save up for that next vacation. It certainly helps to be a couponing ninja! If you aren’t couponing yet, get started in 4 easy steps. Whether it’s an extra cup of coffee a day or paying huge amounts of interest on a credit card, when you break these 5 bad money habits it will definitely make it easy for you to start saving up for that next big adventure. Setting up an automatic savings account can keep your savings on track without a lot of active thinking. A small amount of money adds up quickly, so do what you can, and let the bank take care of the rest. Each month, your savings will grow, and you won’t even have to think about it. Even better, set your account to deposit into your savings right after you get your paycheck, that way the money you’re saving isn’t cutting into what you see that you have to spend. Before you know it, you’ll be on your way to the Swiss Alps or Kilimanjaro. We get it, that extra medium to large size coffee drink is delicious. However, many of us spend a lot of extra money on things that we don’t necessarily need. 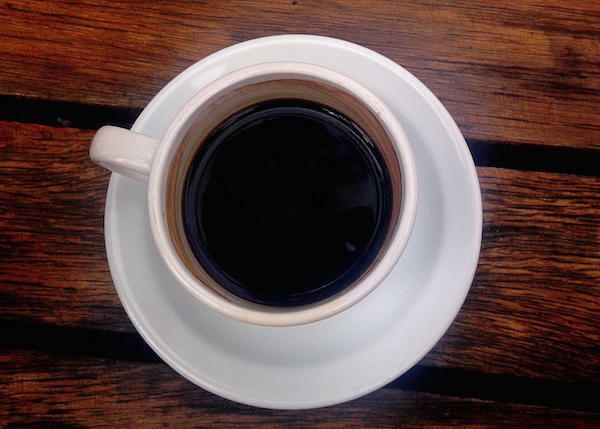 Coffee, restaurants, and the small, everyday expenses really start to add up to a lot of stress on both you and your bank account. That money could be used to buffer your savings so that when you take that trip, you’ll be able to eat out worry free because you skipped a few of those cups of coffee and the occasional dinner out in your everyday life. Check your data usage on your phone, do you use all of it? If not, consider changing your plan so it’s cheaper and uses less data. What about your cable? If you have a streaming internet TV service you likely don’t need cable. Take that money, and set it aside in your savings, and you’ll be able to afford that really awesome hotel you’ve been looking at (yeah, the one that’s floating on the ocean in Fiji). Credit card debt is taxing on you both personally and financially, but it doesn’t have to be an intimidating part of your life. You likely pay a very significant amount of interest on your debt each month. Prioritize paying off credit before you do anything else, and make sure that you are using a card that has the lowest APR that you can get so you’re paying as little interest as possible. In addition, see if your card has a rewards system set up. You can often earn mileage for using a card and transferring your balance. Sometimes this is enough for you to fly across the country. And, this one is pretty obvious, pay off as much of your credit card debt as possible. You will want a card that is not maxed out on your next vacation. Often bills change and we don’t really notice. Offers we may have signed up for have expired and now we are paying more. Make sure to always read your bills and call in every few months and ask how you can lower your bill (you might want to casually mention switching to a competing company, sometimes that gets you an even better deal). Companies are ready and willing to help you reduce your monthly bills, they often have new specials you qualify for and you can get those deals. 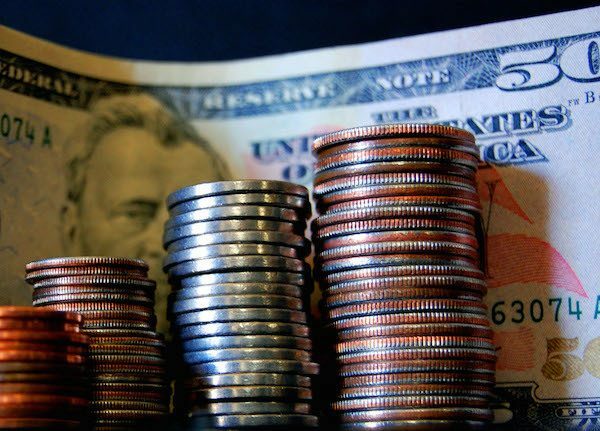 Check out these 8 Ways To Save On Monthly bills NOW. Financial change doesn’t happen overnight. There are a lot of really small steps that you can take. Changing the way you view and approach money can be one of the biggest ways to get out and stay out of debt. Saving up for a vacation can be a daunting task, but establishing new habits and taking small steps can make this a breeze. You are human though, and sometimes you need that delicious drink, or you spend more on your credit card than you intended to. Don’t sweat the small stuff, and don’t get caught up in the slip-ups. Just make a note, figure out how to get back on track and move on. In no time you’ll be kayaking the San Juan Islands with Orcas thinking about how awesome it was that you made a few small changes and now you’re able to enjoy your vacation stress free! Here’s more info on How To Save For A Vacation! Doug writes about Travel, Budgeting, Homebrewing, DIY projects, and Food. Follow him on Twitter @diydoug.